While a favorite among repeat guests, Hermitage may not be the best choice for the first time guests. 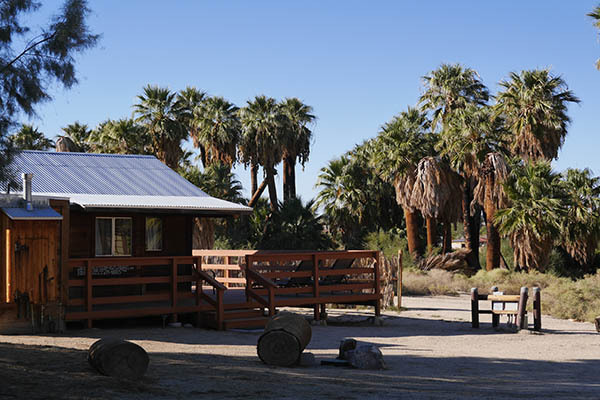 This quirky Bonsai-style wood frame cabin was built in the early 1920's as the wash for the Gold Park Hotel, which was located at the east end of the Oasis of Mara. 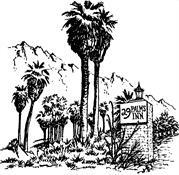 After the Gold Park Hotel closed, and the 29 Palms Inn was established in 1928, this building along with several of the other original cabins were dragged west along the Oasis to where it sits today. 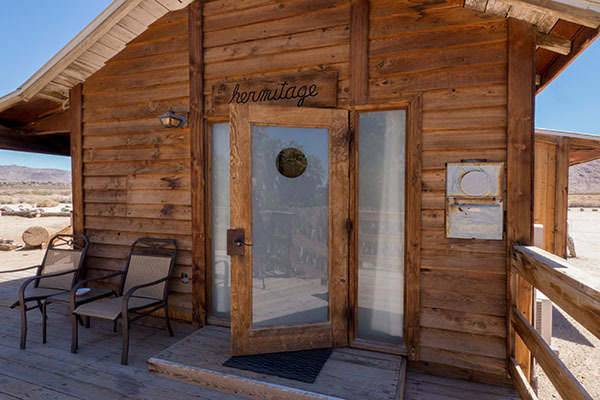 From wash house to linen shed, and eventually to a guest cabin, our Hermitage cabin has a colorful past. 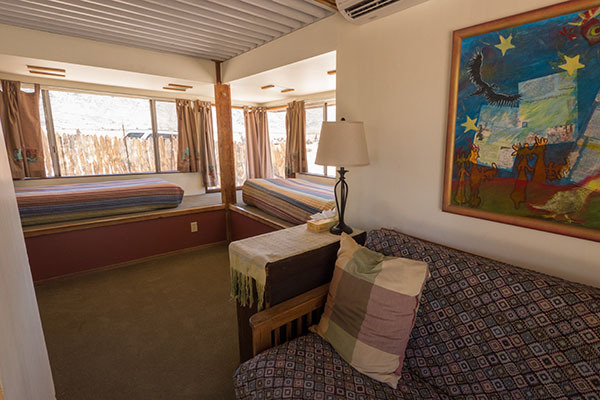 To convert the building to a guest cabin, in went large bay windows with built-in single beds on the main floor, offering beautiful views out to the open desert and mountains of Joshua Tree National Park. 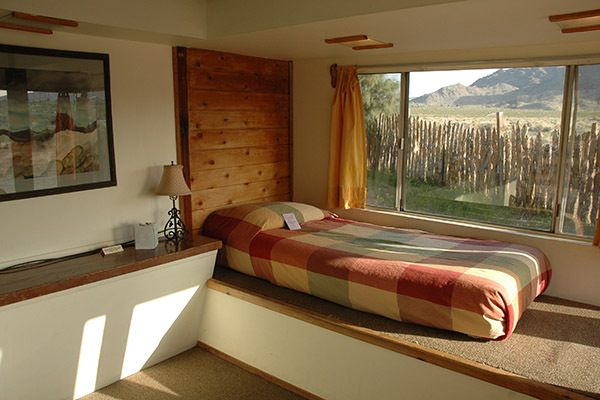 A small second story loft platform was also added, just low enough from the ceiling to allow adventurous guests to climb up a sturdy ladder and crawl their way onto the queen mattress. 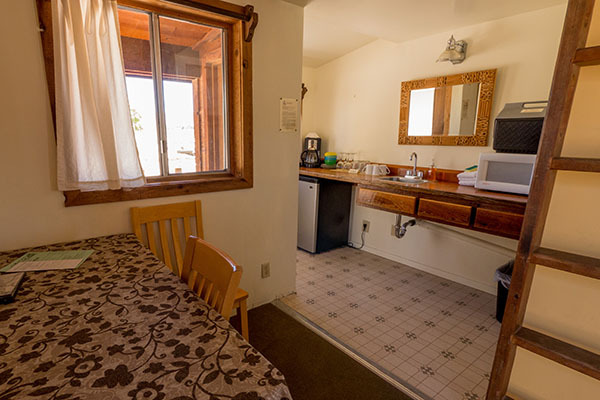 The main floor of the cabin features a small kitchenette area which includes a mini fridge, microwave, coffee maker, and one of two access doors that lead out to the deck. Please note, the bathroom is not accessible from inside the cabin. While you must venture out a few steps across the deck to get to the bathroom, you will be rewarded in the evenings when you look up and see our extraordinary starry night sky. 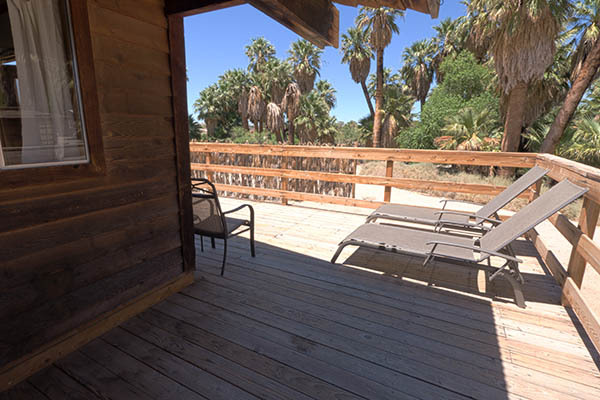 The deck at our Hermitage cabin offers one of the best views into the Oasis, where you can unwind and enjoy the sights and sounds of this natural desert oasis. 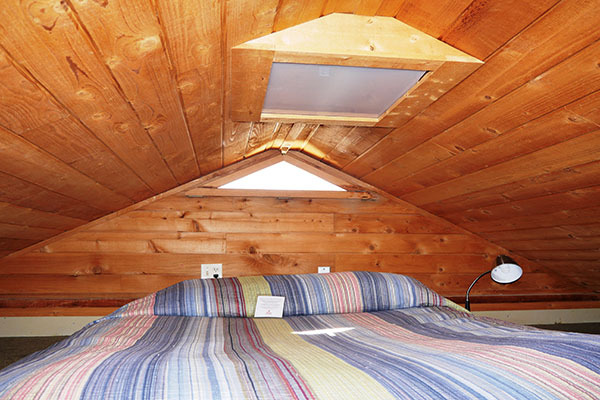 The cabin can sleep up to 4; starting rate is for double occupancy.